On September 13, 2007, the UN General Assembly adopted the Declaration on the Rights of Indigenous Peoples (UNDRIP). The Declaration serves as a landmark document, which comes as the result of over two decades of efforts by the Working Group on Indigenous Populations, enumerates the rights of over 370 million people in approximately 90 countries across the planet. This is a Declaration which makes the opening phrase of the UN Charter, ‘We the Peoples…’ meaningful for the more than 370 million indigenous persons all over the world. I call on governments, the UN system, Indigenous Peoples and civil society at large to rise to the historic task before us and make the UN Declaration on the Rights of Indigenous Peoples a living document for the common future of humanity. The Auschwitz Institute answers this call and stands united with the international community in solidarity with indigenous communities everywhere on the occasion of the International Day of the World’s Indigenous Peoples. The observation of commemorative dates like this one forms an essential component of AIPR’s educational and collaborative programs, which work towards building a world that prevents genocide and other mass atrocities. Throughout the world, indigenous peoples continue to struggle for the most basic of human rights. The historical legacies of the physical and cultural destruction of indigenous peoples, often denied by the very social and political structures that continue to persecute them, still resonate in their struggles of the present. 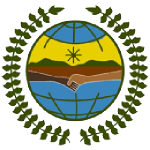 AIPR joins with our UN partners in working to strengthen international cooperation for solving problems faced by indigenous people in such areas as human rights, the environment, development, education, health, and economic and social equality.